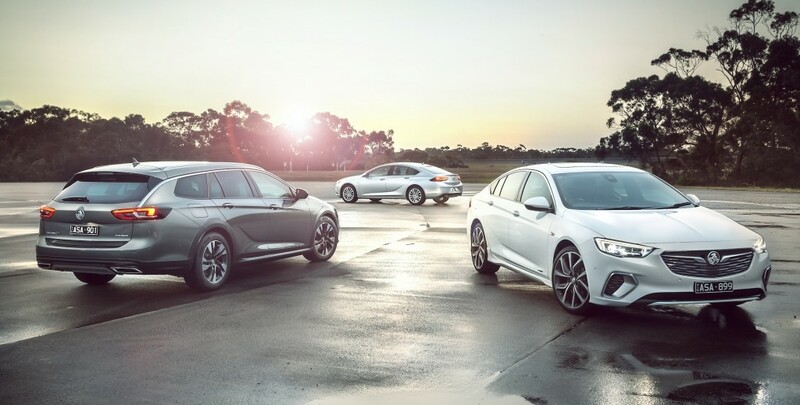 Holden posted its eighth year of sales declines in 2018, and in the process, rival Ford outsold the brand for the first time in 21 years, according to a report from Car Advice on Tuesday. The last time Ford overtook Holden was in 1997 ahead of the latter’s glory years in the early 2000s. However, these days, it’s not the same picture for either brand. 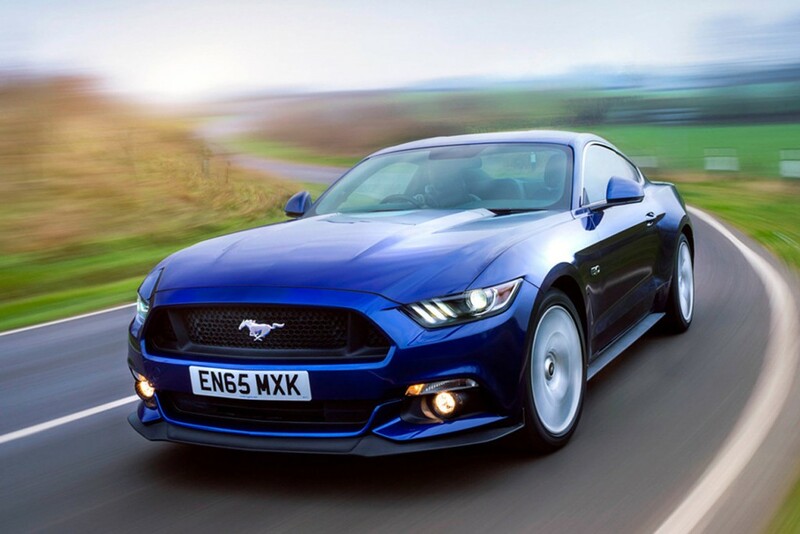 Although Ford can claim victory over Holden, neither brand duked it out for the top spot. Instead, both Ford and Holden placed outside of the Australian market’s top four brands. Ford sales were also down for the second year in a row. The Ranger and Mustang helped Ford keep ahead of Holden throughout 2018. Holden led Ford for just a single month in 2018—January—after the brand declared it sold more cars than it actually moved. At Holden, the Colorado and Astra were the best-sellers, closely followed by the Commodore. And Commodore sales remain a mixed bag. The report notes the new imported Commodore is selling at a rate of less than half over the previous locally built VF Commodore. But, more private buyers bought the imported Commodore compared to sales of the VF Commodore by a very small margin. Looking ahead, Holden said no vehicle is off the table at Holden under its new chairman and managing director, David Buttner, formerly of Toyota. Although, as GM restructures in North America, Holden is likely to have a growing portfolio of crossovers and SUVs to choose from rather than sedans. GM plans to send the Chevrolet Impala, Volt, Cruze, Buick LaCrosse, and Cadillac CT6 to the automotive graveyard in 2019. The market leaders there have been the Mazda 3 and Toyota trucks. The greatest issue was aholden fell far behind what the market wanted years ago. RWD was in decline but the never really worked on a 3 challenger when it was rising. Holden was like old GM reactive vs proactive. What in todays GM is any different than this ? GM is now going to work on electric ” reactively to Tesla” ? Cadillac is now making more SUV-CUV ” reactively” ? GM made an “all new 2.0T” “reactively because the old was ? ” ? GM spent all the time in that time and money on the “new” 2.0T when with low fuel $$$ the USA wants HP ? By the time GM catches up to the HP craze we will be back in the sedan and electric craze so I HOPE the “NEW” GM move to focus on electric will work even 5 years to late. GM simply can not move fast enough for the market and the desirable product research team (if they even have one) is out of touch, at least in the USA. Is RWD really in decline in Australia? That’s weird because here in the US most prefer their cars to be a front engine/rear drive set up. All wheel drive in some areas is more preferable but for the most part all gear heads want front engine & RWD. The reality is gear heads are in the minority and they are becoming less a factor. Hence why only a handball of cars are RWD and the top sellers are fwd. In nearly every market fwd and and 4 cylinders top the top ten in sales in the auto market. Holden failed to deliver a competitor to the three in time and now plays catch up on the Mazda 3. Sorry Scott, GM did not invest in the correct products for Australia. GM imposed upon us the awful Korean junk; instead of keeping the Opel sourced products which were respected in the marketplace. Like the US, GM did not plan for further SUVs or the ute segments growth which are tracking extremely well here n Oz. Most of all Holden has treated their customers with distain. I have been one for some time but will not send my vehicles to a dealer for service. Holden have also been shameful in their treatment of their dealerships. GM had failed badly. So badly it will struggle for years to come unless GM shutters the business like they did with the Adelaide plant and other markets around the globe. Australia is one of the most densely serviced automotive marketplaces in the world. There are a lot of great products out here. However, these days, GM cars aren’t considered relevant anymore – Holden has gone from an iconic nameplate to a pariah. The truth is Toyota and Mazda both are importing the same junk too. Yet that is ok with the average customer? The Mazda if I recall is from Malaysia. The Koren cars are the same as ours. The Opels are the same as our Buicks but they are going away after the sale. All are ok but no better or worse than most of the other imports. Right now GM needs to get more SUV models in and a full size truck at a reasonable price if possible. That is where the market is going. They need to invest more in the Colorado too. The greatest issue was the fall out from closing the last remaining production plants in country. GM would have been better leaving sooner than later per the others who left did not get as much trouble. That is what GM got for trying to hold on. Once again its because Toyota cares about the CUSTOMER. And GM has NO CUSTOMER SERVICE. Mazda and Toyota don’t sell junk and are well respected in Australia as opposed to the rubbish GM has peddled here for a long time apart from the locally made Commodore. GM needed to replace Commodore with either a bargain basement Chinese-made CTS or CT6 since Cadillac is absent from Oz. Excellence needed to be replaced with excellence and cheap Chinese labor could have made it possible. Insignia is a great car that should be know as Insignia, not Commodore! There is a market nice for Insignia as well as Astra and Spark. GM did to Holden exactly what it’s did to Opel: No forward planning on SUVs. Since GM is willing to convert any GM vehicle into RHD Holden should be mated every GM brand with Buick taking the lead (at a Holden price). I think the new GEM Excelle might even be a fit. Envision is a heap better than Equinox! Holden will exit Australia within five years as GM contracts further into a Chinese/Americas firm. Yep you can keep your guns and kill each other in the process….